How do I harvest happiness? It’s not easy in our overly-complicated word, but you can begin to harvest happiness by learning new responses to old, problematic patterns and cultivating an even-keeled, contented attitude no matter what life throws your way. Lisa shows audiences how to tap into the joy we all deserve. All her presentations are unique and provide a customized interactive experiential program using media, props, and exercises that will motivate anybody to get off their feet, out of their head, and into a happier mood with improved lasting emotional fitness. Are you ready to incorporate the science of happiness into your life so you can enhance your overall well-being? You probably are if you’ve got goals! Lisa Cypers Kamen, our resident happiness expert, developed a lifestyle consulting program to help you reach your dreams with attention, intention, and direct action. Lisa’s style of coaching includes lifestyle management consulting for mental, physical, emotional, spiritual, and sustainable happiness. It was specifically designed to activate a person’s unique needs and ambitions. Want to figure out why you can’t get unstuck? Want to live your ideal life? Work with lifestyle management consultant, Lisa Cypers Kamen. Get out of the office and back out in nature. Ignite creativity and problem-solving skills while walking in nature . . . breathing in the fresh air. While the Freudian psychoanalysts of yore favored the fainting couch as a vehicle to the tangled morass of a patient’s subconscious fears and desires . . . Lisa’s Happy Trails Treks literally move people through gorgeous terrain while working on any unresolved, pent-up inside issues. Despite the self-destructive and bewildering behavior of addicts, the disease of addiction is not an issue that someone can overcome with discipline and willpower alone. Our recovery accountability coaching program brings full attention to positive psychology and the neuroscience behind what makes people thrive. Over the years Lisa has worked with highly targeted and obscure people, places, and things for companies in need of study participants for market research that supports design thinking and new product development. We love to troll cyberspace for data related to mental health, personal growth, and lifestyle management. We have a knack for finding needles in the haystack when it comes to niche market research recruiting. Lisa Cypers Kamen is an intelligent, compassionate, and experienced recovery and lifestyle management practitioner. I have worked closely with Lisa on numerous complex dual-diagnoses cases. Lisa has a calm and empathetic approach, which I have seen help stabilize and heal clients. She has great energy, is highly motivating, and helps clients who have been struggling to just survive begin to thrive. Lisa is also very creative and uses out-of-the-box thinking to manage even the most difficult cases. It is unique to find a person that brings to their job a high energy, interest, expertise and experience. 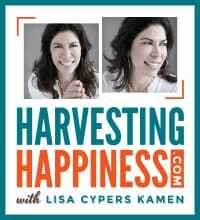 Lisa Cypers Kamen is such a recovery and lifestyle management practitioner. She has radiant energy, acute listening skills, years of experience in dealing with dual diagnoses cases, and a depth of knowledge in all aspects of personal well-being, combined with a sincere personal interest in her clients. I’ve had the pleasure of working collaboratively with Lisa on a variety of complex cases. Her genuine care and compassion differentiates her from the crowd, as she is an inspiration to her colleagues, clients, and their families. Lisa is an inspiring blend of energetic optimism and deeply empathic spiritual awareness, which most positively impacts her client’s recovery. She is an exemplary professional who possesses a strong work ethic, and high level of motivation for her client’s well-being and lifestyle transformation. Lisa Cypers Kamen is well-studied and uses her far-reaching collection of resources and information for effective and practical problem solving. When assigned to a case she always gives 110% and is relentless in her dedication to helping others achieve their goals. Lisa is dependable and reliable in all areas of care. She carries a spirit of victory that is contagious to be near and her work is unique, admirable and exceptional. Lisa offers a distinct and creative method to Lifestyle Management Coaching by combining personal empowerment with affirming guidance. She leads clients through an inward path of self-awareness to find personal meaning, passion and inner strength. As clients begin to connect with themselves they find their inner guide along with self-validation helping them to overcome personal barriers and struggles that have long existed giving them a new sense of direction. Lisa encourages clients to challenge self-imposed limitations and test the waters by exploring new and innovative ways of thinking leading to freedom and happiness. Working closely with Lisa in an outpatient clinical setting, I was afforded an opportunity on more than one occasion, to witness first-hand her commitment, skill, and no-non-sense approach with several particularly challenging individuals. Her ability to motivate and encourage during difficult work while simultaneously providing a safe and nurturing environment demonstrated to me her effectiveness as an agent for happiness and change not only with her clients but in my own life and work as well. Her kind, welcoming and awesome spirit are but a few of the gems that make her an effective healer and guide.